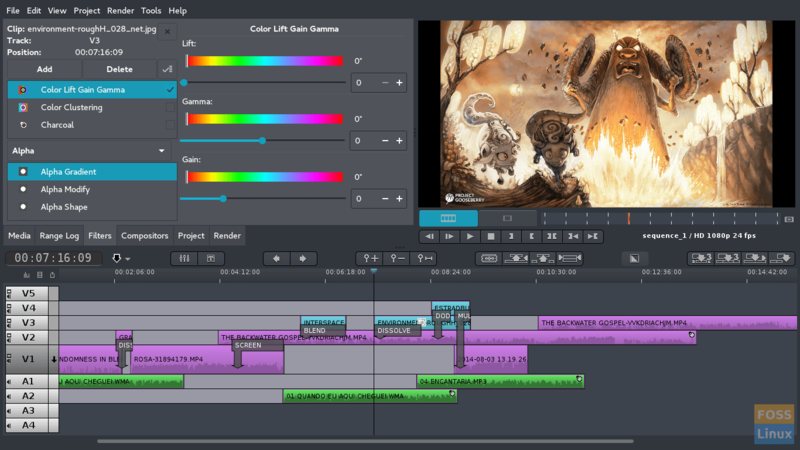 Here are all the 10 best hand-picked video editors for your Linux desktop! 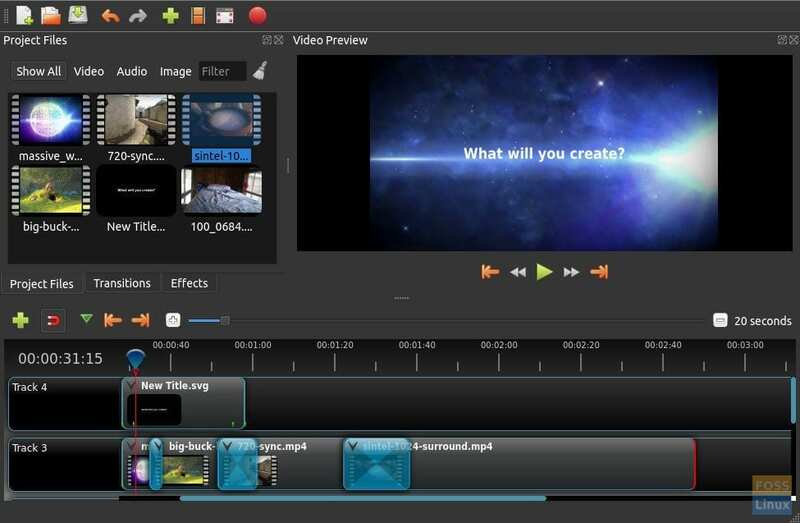 This article is for all the Linux users out there who are looking for video editors to create their own professional videos, which can range from short documentaries to even movies. There’s often this misconception that there are not that many video editing software for Linux out there — however, this is not the case. With the growing popularity of Linux-based operating systems, software development companies have no choice but to focus on making software specially designed for Linux distros. Accordingly, you can find a number of video editors on the internet for almost any Linux distribution that you are using. Choosing the perfect video editor can be quite problematic for some, but this is where FossLinux comes into play. For your convenience, we have compiled a list of Top 10 Best Video Editors for Linux. In this article, we discuss all the relevant details including the pros, cons and also the salient features of each one of them. 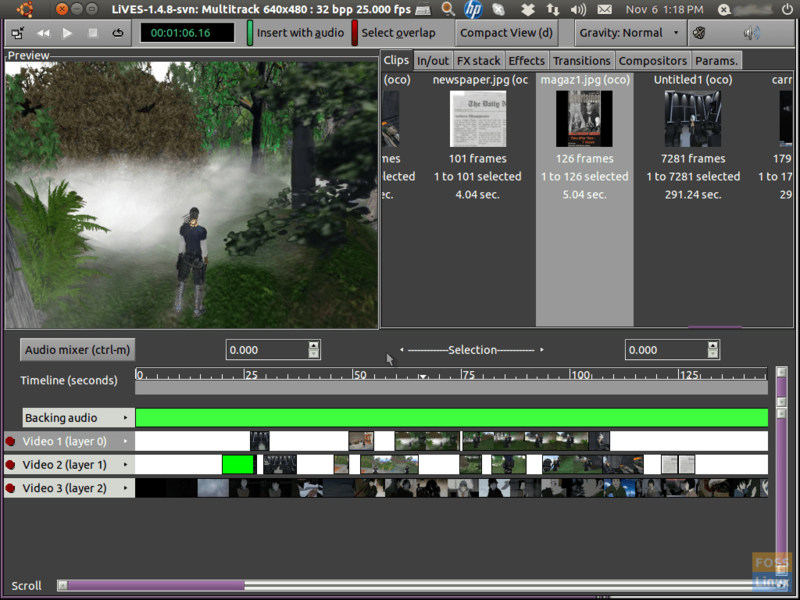 Hands down, Kdenlive is potentially the best video editing software for Linux out there right now! What sets it apart from the other video editors is the fact that it is totally free and comes with a bunch of powerful features as well. This video editing software offers customizable layout support, clip list, a multi-track timeline, automatic backup, keyframable special effects and transitions. Are you using any unique file format or camcorder? Not a problem — Kdenlive supports almost everything available. It should also be mentioned Kdenlive supports Mac OSX and FreeBSD as well. Another important feature is the Proxy editing. This cool feature can automatically create low-resolution copies of your source clips to allow light-weight editing, and then render using full resolution. Note: As the editor is aimed at professionals, newbies might find it difficult to operate. Some basic knowledge of video editing is needed to fully utilize Kdenlive. Kdenlive can be installed on almost any Linux distro including Ubuntu, elementary OS, Fedora, Manjaro, Arch Linux, Linux Mint, and others. Visit the official download page to grab your copy. Shotcut is another free, open source, and cross-platform video editor. Unlike Kdenlive, novice video editors will be able to get a full-fledged experience with Shotcut as it is rather easy to use. It comes with a wide range of features including native timeline editing, video transitions and filters, and multitrack timeline. It supports keyframes for filter parameters and 3-point editing. If you quickly need to delete the audio from a video clip, Shotcut gets it done. audio mixing across all tracks, stereo, mono, and 5.1 surround sounds support. Despite all of its features, we do not recommend Shotcut for professional purposes as the software is limited to only basic video editing. Shotcut can be executed on any Linux distro due to the availability of the AppImage version. 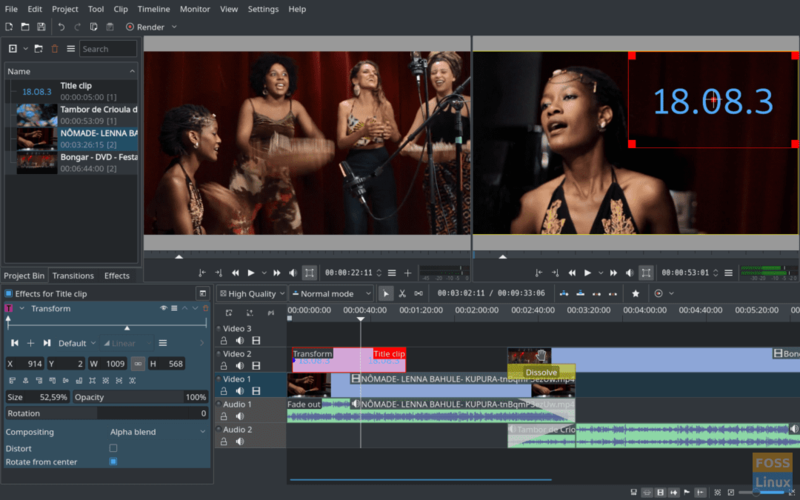 This video editor for Linux systems is suitable for professionals in video editing, as the features go beyond the realm of novice editors. 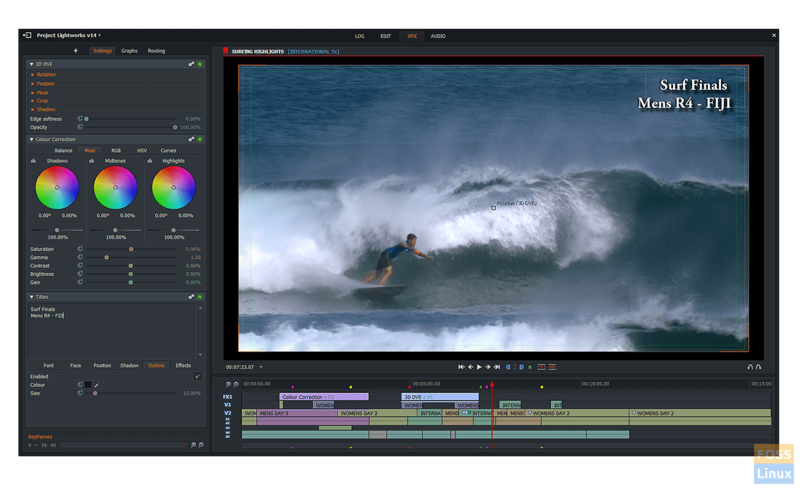 The award-winning non-linear editing (NLE) software supports 4K, Blu-Ray and even SD and HD video formats. Alongside those features, you will also find Low-Res Proxy workflows for 4K and drag-and-drop support. It has voice over and Mackie MIDI support added recently for Linux users. Lightworks offers the most comprehensive support for analog and digital connections including 12G, 3G-SDI, Optical audio, HDMI 2, and AES/EBU connectors. The developers have also added some high-quality video and audio filters and effects aimed at professionals. Unfortunately, this software is not completely free as it comes in two versions: Lightworks Free and Lightworks Pro. The difference between them is that the latter supports different video formats, while the former does not. Lightworks is available for Windows and Mac OSX as well. LightWorks is available in executable DEB and RPM formats. Grab it from below link. 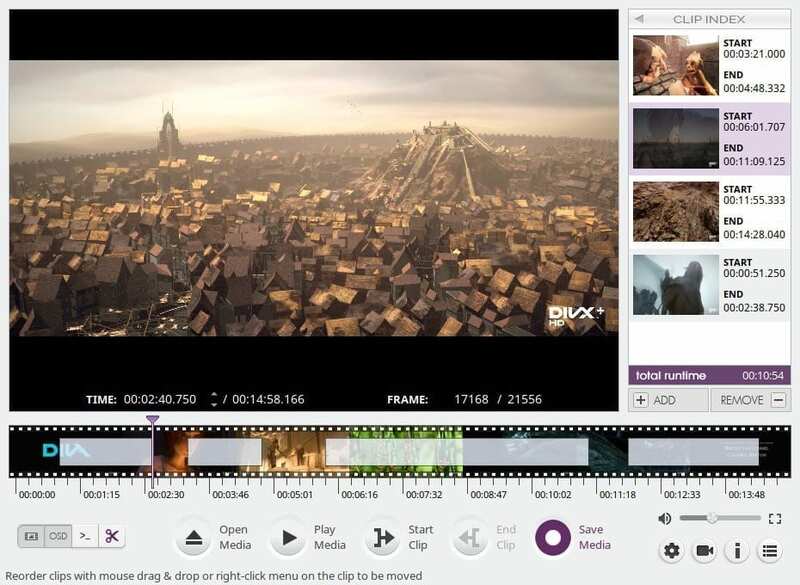 We are quite sure that you won’t be able to find a video editor as user-friendly as this one. If you are new to video editing, OpenShot would probably be the best option for you. Not only is it really easy-to-use, but it also comes with a handful of interesting features. With this editor, users will get numerous titles and transitions, support for most video and image formats, and an amazing export feature that lets you export files in various formats. As previously mentioned, the software caters to the demands of novice learners; expert users need not be disappointed, it provides support for professional video formats such as 4K. OpenShot has several exciting audio editing features built-in, such as visualizing waveforms on the timeline or even rendering the waveform as part of your video. Moreover, it lets you split the audio from the video clip, and adjust each audio channel individually. OpenShot is completely free — and can also be installed directly through your operating system’s app store. It is available in AppImage format, which means you can just download and run it on any Linux system. If you’re facing lagging issues with other video editing software, we suggest you give Flowblade a try. This video editor has been written in Python, which makes it run faster and smoother than all of the other competitors. Just like OpenShot, it is incredibly easy to learn and use this software. Flowblade gives its users the features of video transitions, watermarks, batch rendering, and drag & drop support. In addition to that, it also supports various image/audio/video formats. It also supports proxy video editing. As I already mentioned, it’s a method of editing in which original media clips are presented on a timeline by proxy clips for light-weight editing. Full resolution of video will be used while wrapping up the project. Fascinated by Flowblade? Well, it requires only one visit to your distro’s app store to be installed. Alternatively, head over to the official website to download it. 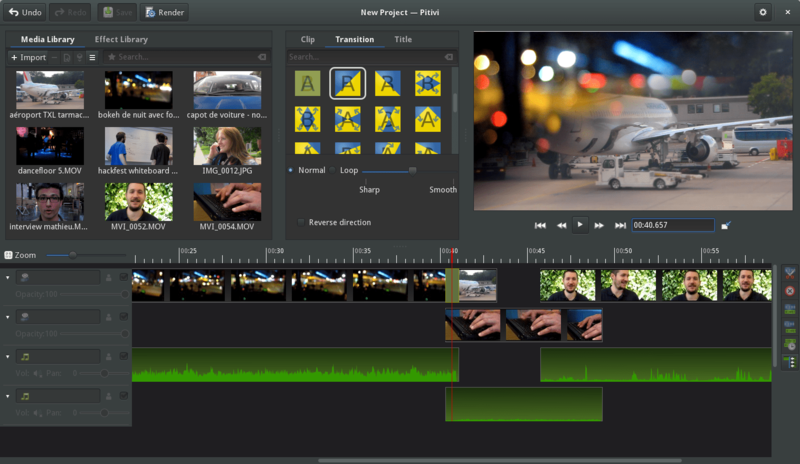 By far, this is the most professional video editor for Linux available in the market. DaVinci Resolve is a very powerful video editor and is commonly used by cinema production houses all over the Hollywood. It comes with amazing features such as editing, professional audio post-production, and color correction, enabling professionals to create TV-shows and even movies. 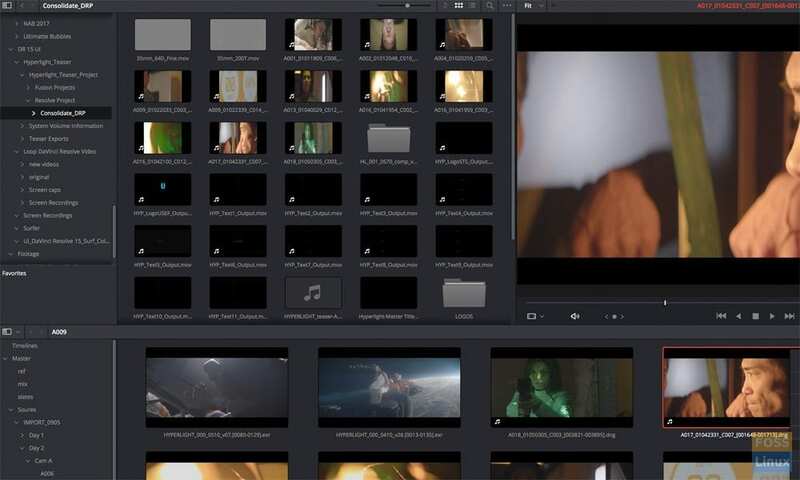 It is an all-in-one suite that comes packed with multiple editors which means assistants, colorists, VFX artists, and sound designers can all work on the same project concurrently. Moreover, it also supports non-linear VFX. DaVinci Resolve is prepackaged with full Fusion visual effects and motion graphics. The Fusion page gives you a complete 3D workspace with over plenty of tools for compositing, vector paint, keying, rotoscoping, text animation, tracking, stabilization, particles and more. Other features include a new LUT browser, shared grades, multiple playheads, Super Scale HD to 8K up-rezzing, stacked timelines, on-screen annotations, subtitle and closed captioning tools, and more. Due to its professional-grade features, DaVinci Resolve is not totally free. Having said that, you can still try its free version to see if the software is a fit for your video editing needs or not. Similar to Lightworks and DaVinci Resolve, this video editor is aimed at expert level users, but the best thing about it is that it is absolutely free. However, it focuses more on 3D animation than regular video editing. It is extensively used for 3D modeling, VFX, Animation, Simulation, Pipeline, and Game creation. On the video editing front, Blender provides you with filters, transitions, keyframes, adjustment layers, speed control, live preview, histogram displays, luma waveform, and chroma vectorscope. Apart from that, it also provides the ability to mix, sync and scrub audios if anyone has their focus on the audio aspect of their movies. All of these extensive features mean that it also comes with a steep learning curve, making it unattractive to novice video editors. Unarguably, it is the best example of a product of free and open source community. 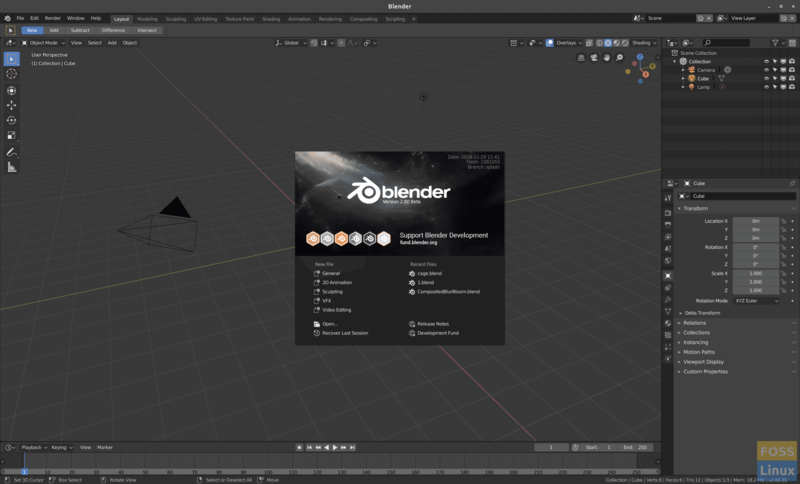 Blender is available in almost all software app stores for free. This one is not an entire video editing photo suite, but I chose to include it to perform one and only task – Video cutting and joining. When people are searching for a video editor to download, most of the times it is only for basic purposes. VidCutter should be your go-to software if you only want to simply cut and merge video clips, as the name implies. Because of its simplicity, almost anyone can use it. You can install it directly through your app store. It’s also available in AppImage format. LiVES is a video editing software that is both powerful and user-friendly. It allows basic cutting, merging and saving and re-encoding of clips. Plus, it also comes with a collection of special effects and filters. It offers smooth playback at variable frame rates, forward and in reverse. It supports Frame accurate cutting and pasting within and between clips. Like most of the other powerful video editors, LiVES can accommodate live firewire cameras and TV cards. In the Audio editing segment, it can load mp3, vorbis, mod, it, xm and wav files. Audio can be trim fit to video segments. It supports (auto)inserting of silence and deletion of audio sections. If necessary, its functionality can be further extended through RFX plugins. LiVES is relatively new to the community, therefore, it’s not available in most of Linux distro app stores. You will have to compile it from the source. Just like VidCutter, it allows you to do basic editing tasks such as to trim, cut, snap, split, and mix your videos. For people who aren’t that well-versed in English, the software provides support for a number of other languages. Before using it, you should probably read its documentation, which comes with a lot of useful information on how to use this software. In a nutshell, the program provides a hardware-accelerated and touch-capable user interface. It supports unlimited video/audio track layers, full undo/redo history, Trimming, cutting, sound mixing of multiple concurrent audio layers, volume keyframe curves, keyframable audio effects, and more. To give you the best performance Pitivi generates thumbnails and waveforms in the background, without disrupting your workflow. Pitvi is available in most common Linux software centers. You can download pre-built packages too if you want it that way. Using Linux does not mean that you can’t have high-quality software on your system. Apart from the aforementioned video editors, there are tons of other software available in the market for Linux. Some of them are aimed at professionals (just like Lightworks, DaVinci Resolve, and Blender), while the others cater to the requirements of beginners (similar to Shotcut and VidCutter). Moreover, you will also be able to easily download and install video editors on your Linux system as most of them are already available on the app store. If you think there’s a video editing software that should’ve made into this list, feel free to comment below.